Whenever Junk King sets up a new franchise, that business quickly becomes the area’s leading junk removal service. It was no different here in the Albany region when Junk King began collecting rubbish. 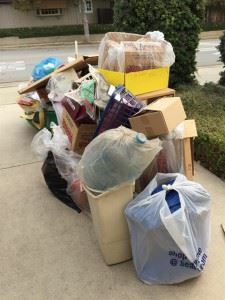 It wasn’t long before the word got out among homeowners, real estate agents, contractors and office managers that Junk King is a dependable service for fast and affordable junk removal. Now, Junk King Albany is getting even better by offering dumpster rentals. It’s just another simple way to get rid of all your trash. Anyone who is taking on a remodeling job or construction project, knows the value of having a dumpster on the site. It seems as though every day there is a new pile of trash that has to be discarded. The easier it is to get rid of all that construction waste, the better off the crews will have it on the actual job site. In other words, do you want those workers spending all their time cleaning up or building? A Junk King dumpster lets them fill up their trash without any interruption for the workday. A dumpster rental is also a great thing to have if you’re sorting out a garage full of clutter. You won’t have to rush to get through all those boxes and bins. Just toss out as you go and in no time at all, your garage will be clear of all that unwanted stuff and you’ll be able to do something amazing like park the car in there! Of course, for a rapid removal you can always count on the standard Junk King junk removal package. This includes two very capable movers and a truck big enough to haul away whatever you’re tossing out. With this option, Junk King literally does all of the work. The crews will be able to remove any heavy item from your home from a big TV to a small piano. Once all that clutter is gone, your home will be transformed. It’s a great way to make a more practical use out of storage spaces. You could even reclaim an entire room that would be perfect for a spare bedroom or home office. There is no limit to what you can create in an empty space. First, get it cleared out by Junk King. This entry was posted in junk removal and tagged dumpster rentals, Junk King, junk removal on February 29, 2016 by Todd Porter. Last updated August 16, 2017 .